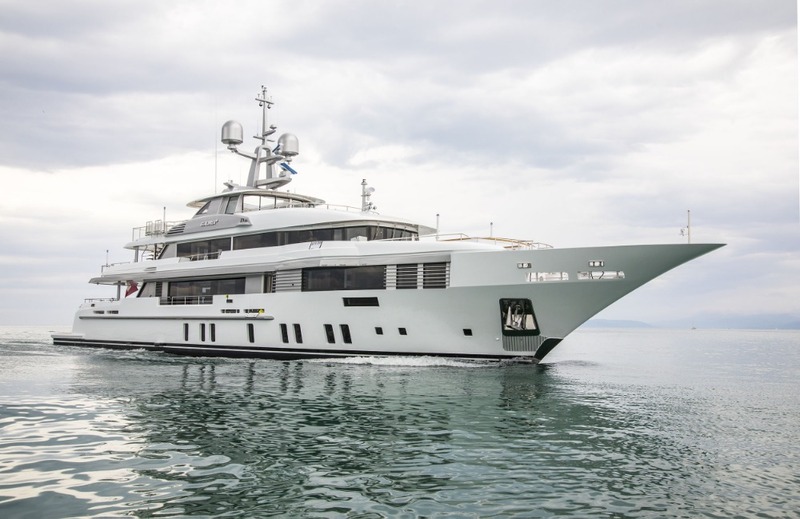 Benetti has delivered the 49m custom motoryacht Elaldrea+ to its owner, featuring exterior design by Argentinian architect Horacio Bozzo and interiors by the Benetti Style Department. Built with a steel hull, Elaldrea+ has an aluminium superstructure painted in pearl white with silver accents. The yacht has been designed for the owner's focus on family and social life. A large beach club features windows in the ceiling and in the rear door, which opens out onto a swim platform of almost 25sqm, so that the area is flooded with natural light even when underway. The lower deck features four guest cabins, three double crew cabins and engine room containing three in-line generators with HUG anti-particulate filters to reduce pollution - a unique, non-standard feature. The owner also requested the chief engineer’s cabin to be located close to the engine room. On the main deck, in the stern cockpit, the furnishings are designed by Horacio Bozzo, while for the main lounge, split into lounge and dining areas, the owner has chosen luxury brands including Poltrona Frau, Giorgetti, Softhouse and Arketipo. The day zone provides direct access to the kitchen area and a pantry containing two specially-designed wine cellars. Further forward is a space set aside for use as an office, followed by the owner’s apartments, which are decorated with marble and wood, two dedicated dressing tables, two bathrooms that share a big central shower, and a flying-out balcony. The outdoor spaces on the upper deck feature a swimming pool in the bow, while a more convivial setting in the stern furnished for dining and entertaining. Inside, a panoramic lounge features a TV and bar area provide space. A second swimming pool is located on the sun deck, alongside an American bar, TV, barbecue and seating area, as well as a forward area with sofas and armchairs. A range of 4000nm at 10 knots means that Elaldrea+ is capable of long cruises, with two MTU 12V engines delivering a top speed of 14 knots and a cruising speed of 13.5 knots. Averaging 10 deliveries per year over the last 10 years, according to The Superyacht Intelligence Agency, Benetti will have delivered 11 yachts in 2018. This ranks it as one of the top builders in terms of cumulative delivered LOA in recent years. Find out more about the yard's performance in The Superyacht New Build Report (issue 192), to be published in February 2019.